The embattled former Chief Justice of Nigeria (CJN), Justice Walter Nkanu Onnoghen, is a lucky man. 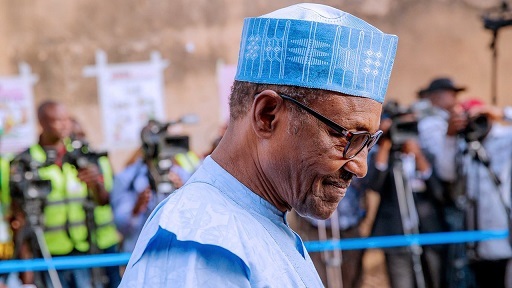 Never in the history of Nigeria has a court case wrongly attracted so much national and international attention in favour of the accused like his case of alleged false assets declaration and the abuse of the code of conduct for public officers. Following his unexpected and sudden suspension from office by the President, based on the order of the Code of Conduct Tribunal (CCT), Onnoghen was given a lot of undeserved honour from members of the Bar and the Bench, his primary constituency. They protested the suspension everywhere, even though some admitted the former CJN was not immune from criminal prosecution. Against every good conscience, the Nigerian Bar Association’s (NBA) President, Mr. Paul Usoro SAN, directed all lawyers in Nigeria to register presence at the Code of Conduct Tribunal (CCT) in solidarity with Justice Walter Onnoghen when he appeared for trial. It also ordered a two-day boycott of courts by lawyers. Some lawyers observed it in breach especially in Abuja. 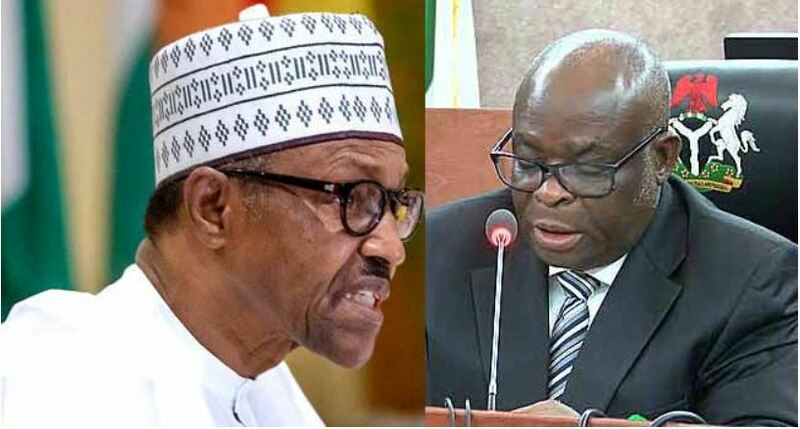 The South-south Governors Forum urged Onnoghen to shun the summons from the CCT, as it was an attempt to humiliate Nigeria’s highest judicial officer. Thus, bolstered by this flurry of support, Onnoghen decided to play the resistance -to -trial game by approaching an Abuja Division of the Federal High Court to challenge the jurisdiction of the CCT to adjudicate over the matter. 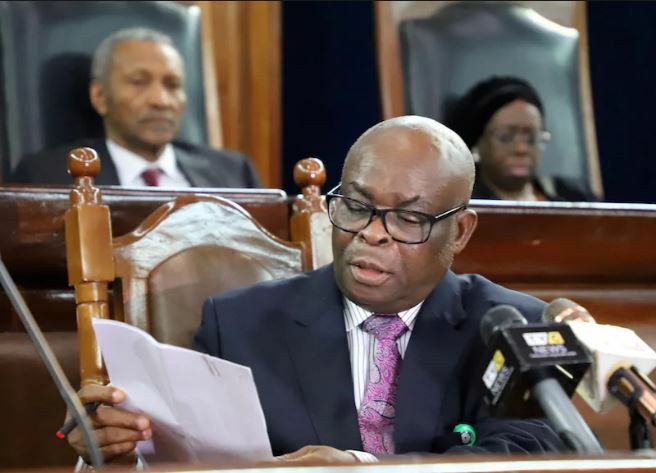 Therefore, a crack team of 30 Senior Advocates of Nigeria (SAN) and 100 junior lawyers appeared before the Justice Danladi Yakubu-led Code of Conduct Tribunal (CCT) to interrogate the legalese of the allegations leveled against Justice Walter Onnoghen. It was an intimidating assemblage of men of the silk. Only the Senate President, Sen. Bukola Saraki, enjoyed similar solidarity from his colleagues when he appeared before the same CCT. Not only lawyers were concerned about the fate of Onnoghen. Several interest groups and opinion leaders pressured and faulted the Presidency. They obstinately declared Onnoghen innocent in public court and even before trial by a competent court, regardless of his admittance of guilt. And at the peak of his presidential campaigns, the candidate of the main opposition PDP, Alhaji Atiku Abubakar, suspended his campaigns for three days, also in solidarity with Onnoghen. He then described Onnohen’s suspension as an attack on the Nigerian judiciary and executive interference with democratic institutions. But the Presidency was not cowed by the intense pressure. The evidence preferred against Justice Onnoghen were too overwhelming and watered by his own confessions. It needed judicial scrutiny, a wisdom the former CJN’s clan of adherents felt pained to bow to accept. But it was probable that there was no escape route for Onnoghen now or in the future. The Code of Conduct Bureau (CCB) responded to a petition to it, by Mr. Dennis Aghanya, Executive Secretary, Anti-Corruption and Research-Based Data Initiative (ARDI). 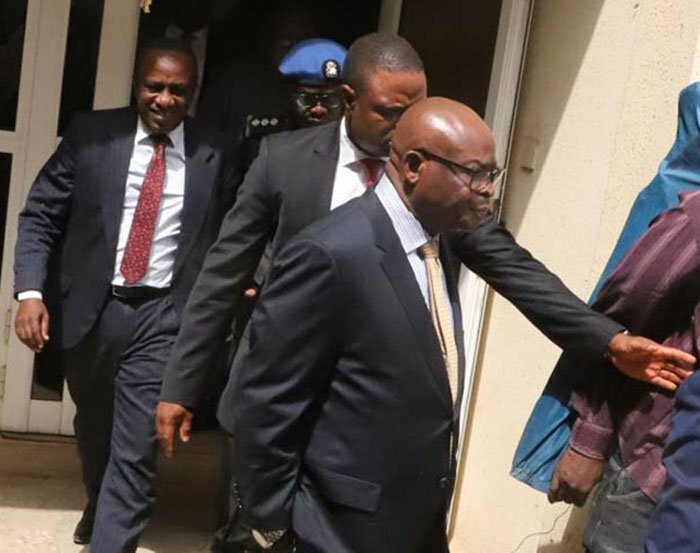 Upon Onnoghen’s arraignment before the CCT, the Economic and Financial Crimes Commission (EFCC) made further discoveries. The anti-graft agency traced a deposit of $30,000 paid into the bank account of the former CJN by Mr. Joe Agi, SAN. Onnoghen also failed to disclose his functional account with Heritage Bank in his asset declaration form. These fresh discoveries added to the undisclosed sums in hard currency, bank accounts and landed properties estimated in billions of naira as previously revealed by Aghanya’s ARDI. 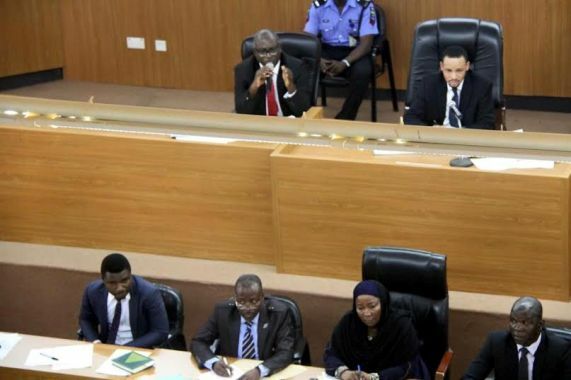 While the CCT trial progressed, the National Judicial Council (NJC) also investigated the allegations against Onnoghen forwarded to it by the EFCC. In the his statement to the CCB dated January 11, 2019, Onnoghen was plain that; “I did not include my standard charted bank account in SCN 000014 because I believed they were not opened. I did not make a fresh declaration of asset after my substantive appointment as CJN because I was under the impression that my SCN 000015 was to cover that period of four years which includes my term as CJN.” It is bad enough that some Nigerians delight in defending the indefensible. After a man confesses to his sins, yet his colleagues are hell-bent on frustrating his trial in a lawful court. They were talking procedure instead of violation of the law by the highest judicial officer in the country. They wanted him sustained on his position as CJN to preside over the fate of other Nigerians who have committed the same offence. That’s crazy solidarity. Why would the former CJN be excited to tell Nigerians that he failed to include his Standard Chartered Bank account in assets declaration forms he “believed they were not opened?” Certainly, Justice Onnoghen had dipped his fingers into red oil and the gods are angry with him. His smart move of resigning his position as CJN when dismissal stared him in the face is altogether unhelpful.